It's QuestFest Time! Listen to my QuestFest 2018 Travel Playlist on Spotify, Apple Music, & YouTube! Hey #Heartbreakers! It's time to join your sister Girl Scouts from across the country in Savannah, Georgia, which can mean only one thing...it's QuestFest time!! Hope you love my QuestFest 2018 Travel Playlist - I created it just for YOU, #Heartbreakers! Grab your headphones or blast your car's stereo! Stream on Spotify, Apple Music, or YouTube! Make sure you follow & subscribe! P.S. Tickets are still on sale for the G.I.R.L. Showcase Concert - grab 'em while you still can! 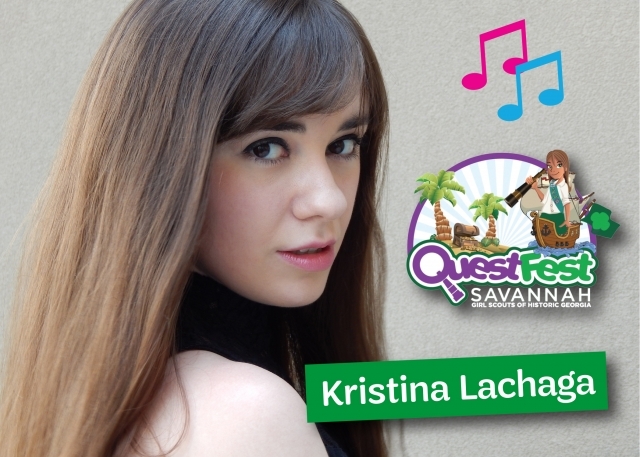 I can't wait to headline the Girl Scout QuestFest 2018's concert Saturday, July 14th at the Savannah Civic Center in Savannah, GA. Click HERE to purchase tickets!